My headboard measures about 43 tall by 78 wide. You'll need to measure your bed to figure out your sizing. Dad helped me take the board upstairs where I went to work! I showed you how I made the headboard in my son's room and this was nearly identical till I got to the tufting part. Why this instead of regular foam? One word – cheaper. ;) Foam is a petroleum based product, so it goes up with the price of gas. Which means it’s just going up and up over time. I haven’t even checked the price lately but for three inches of foam for a nearly 80 inch headboard wouldn't be cheap. The size was another reason – I would have had to use numerous pieces of foam to cover this and when you use the mattress pad you can get one big piece. One of the things I grew to dislike about our old headboard was how hard it was. I mean, it was wood, so yeah. And it had a curve to it so our heads never fit against it. This time I made the headboard tall and cushy that we could comfortably lean against it. If you went with one layer of foam/egg crate that will go down about $20. I had the batting and muslin but only one of those is really needed and they are both cheap. Of course if you skip the tufting that will help too! I’m so happy with how it turned out. And it is SO much more comfortable than our old headboard. Have you ever made your own? Did you find it easy to do? Have you ever attempted the tufting? To see how I updated old nightstands for the room, go here. And see what color I spray painted the brass lamps in this post! You can keep up with all of this room’s updates here. Love, love, love it - alot!! Great job! I love this article very much. I would really appreciate if you guys can look into my collection of highly fashionable, designable and up to date handmade items furnished by great artisan from India such as cushion cover, kantha quilts, home decorative wall hangings and many others. Wow I am loving this! This will mostly likely be my next project. I have been searching for just the right headboard for a couple of years - never finding the right combination of looks and price! I too always thought I could not do the tufting - but you have inspired me! Great job, love the fabric, it looks fantastic :o) Can't wait to meet you at Haven! I'm in love. The tufting. That nailhead trim, sigh! It is fabulous! I want to make one!! I've always been nervous about tufting. So glad you shared your experience with it. I've been debating whether to do it with the day bed headboard I'm planning on making...thanks for the inspiration. Your bed and bedding is beautiful. Holy cow! I am so blown away and inspired. I have always avoided tufting. I think you pushed me over the edge to do it for my daughter. Such a great tutorial. I am loving your new bedding, too. Wow, turned out amazing! You did an awesome job on the tutorial too! It makes me feel confident to do my own!! Thanks for posting! Love this. I will actually be attempting a headboard later on this summer. We desperately need something in the master bedroom!! I'll be coming back to this post for sure!!!! Thanks! Wow, that is gorgeous! I don't have need for a headboard right now but would totally try it. I am about to upholster and tuft a seat for my daughter though and your tips on the tufting will come in handy for that. Wow! It looks amazing! This is the BEST DIY headboard tutorial that I've seen, and there are A LOT. Thank you so much! How smart to use a mattress topper! I have made a headboard before, but you're making me want to redo mine! I tufted it too, but didn't use wax thread (definitely will do that next time!!). And I love the idea of using a foam mattress pad - so smart and thrifty! It looks fantastic Sarah, I really love the direction you're going with your master! I LOVE IT! I've actually thought about getting a tufted headboard, but just can't bring myself to spring for one because of the cost. But this, I could totally do! Thanks for the tutorial! So many great hints in this post. Love the fabric you chose! I especially love your comments about your dad -- makes for nice memories! This is great! I've been wanting to make one for a few years, and now that I'm moving into a new place I think I just might have to finally do it! Did the connected nailhead trim also come from joanns? It looks awesome! This came out awesome! Great job on the tutorial. Thanks for the tip on the foam mattress pad instead of the buying foam at the fabric store!! The cost of the foam is seriously what has been keeping me from tackling this project!! I absolutely love to use suiting fabric in decor and this is no exception, it's just beautiful!! Love, love , love this!!! I like color you chose as well! I'm lookin' at it now, and lookin' at yours, thinkin', hmmmmmm, tufting......it turned out awesome. Love it in your room. Love it! You make everything look so easy. I definitely want to make this for my room! Love Love Love this headboard! Never thought of using bed padding...hmmm! Great choice on the fabric too! Thanks for sharing. Wow...amazing! I love your fabric choice! I've really wanted to do this for ages, but I'm worried I'll screw it up. You made it look so easy though, I might have to give it a shot! It turned out amazing! I love the fabric and bedding, too. I haven't ever made my own headboard, but I have recovered a tufted headboard. I was surprised it came out so nice, lol. I would have made one, but I just got too good of a deal at target.com. Now I'm just mad we don't have a HomeGoods nearby. I'm certain they have the perfect bedding but I'll never find it without making a trip somewhere. Hey HomeGoods - come open up shop near me! Your headboard and bedding is beautiful! I'm totally jealous. Wow! Turned out amazing! And now it sounds fairly easy. Love all the gray! Oh my, what a gorgeous job you did on this headboard! It looks so professional and the color is beautiful in your room, too. Of course I love this and proceeded to show this to my husband, his exact words "this is classy, looks like a something from a hotel." It looks great! Diamond tufting is so much harder. I did a deep tufted princess headboard for my little one. I have yet to blog about it though. It turned out to be adorable, but it was hard work! Thanks so much for showing us how to make a headboard! I LOVE it! It's so beautiful! I love the lighter colors you are using. I'm sure you will be thrilled when you're all done. Thanks for the inspiration! Love it! I tried tufting with thread and could never get the look I liked so I finally used screws and washers and then glued my covered buttons on. It was soooooo much easier than thread and tying! I am absolutely in love with the look of your new room! I've always been intimidated in making my own headboard. You have made it seem so simple! This is on my fall to-do list for my son's room. I love love love love love this! Thanks for this tutorial! I've been planning to make a new headboard for our guest room for awhile now and plan on starting the project in a few weeks. This makes me so excited! Love the way it turned out and the fabric you chose! I love it! I may be brave enough to make one too! Thanks for sharing! Looks amazing!!! I've bought the stuff to make one for my guest room... but it's on my "LIST" of many to do projects :) I hope mine turns out as nice as yours! Thanks for sharing. Amazing! Girl, you need to do a video tutorial on tufting! Love how it turned out! You. Are. A. Genius! Mattress pad instead of foam...DUH! I just made cushions for my outdoor sofa and spent a fortune on the petroleum based foam. The headboard is beautiful and I love the colors that you're using. Great job! This is awesome!! I love that you did it for under $100- amazing!! Looks great. Recently, I saw a blogger use peg board instead of MDF. She did have to attach it to a wooden frame but she didn't have to drill the holes. You made this seem very simple. another cool idea. probably more expensive though? Wow! That is beautiful!!! I would really like to try that and it looks very do-able. My only concern with a fabric headboard is soiling. Does this not happen? And if it does, how do you clean it? Also, how do you measure where to put the hooks on the wall and on the back of the headboard so they match and are level. I can just see myself drilling holes and hanging hooks and then the darn thing is crooked! We have hung various mirrors over the years where the hooks (rings) are on the back of the mirror and getting the hanger on the wall to match the exact place the ring must go has been a nightmare. We end up with holes all over the place. Maybe we are hanging-impaired :) Thanks. This look beautiful! We do not have a headboard, which I hate. This definitely inspires me to make one. I may add it to my list of DIY projects for next week, since it is my last week of summer before our school year starts and I really want to get some projects completed! I love that you used suit fabric, it looks so classy. Great tip! Oh my goodness, this looks incredible and so professional. Who would have know it was that easy. Thank you for sharing this, I am definitely saving this for future reference. Can't wait to see the final reveal, you are so talented. Enjoy your blog and look forward to seeing it in my email each morning. Thanks for this great tutorial! We have a tufted chocolate brown leather headboard from Pier 1 that I got on clearance yrs ago. It's great, but I'm ready for something lighter. I was thinking of slip covering it, but after seeing your new headboard I may just try my hand at making a whole new one for us. LOVE IT!! You do such a great job of making these intimidating projects accessible for us mere mortals! ;-) I'm constantly finding inspiration here! I thought I would share a tip for batting that I stumbled upon when I reupholstered my dining chairs. I had typically chosen my batting by the yard from the fabric store, but one day while looking for party supplies in Wal-Mart, I happened to notice their quilt batting! Comes in Twin, Full/Queen & King. Wal-Mart's price was MUCH cheaper than comparable at the fabric store in my area. And, I've got batting to spare for when I make one of these headboards! ;-) Thanks!! Just the post I needed! I think I can beat your price. I "found" a piece of plywood, framed, in brand new condition out for trash pick-up in a very nice neighborhood. I purchased 2 bags of brand new egg-crate style foam for Queen size beds for $1 total at a yard sale. The lady was thrilled to get rid of them. Found material at JoAnn's on clearance - got 3 yards for $11. And now I know how to put it all together, thanks to you. Think I'll go to JoAnn's and splurge on those buttons. I was also afraid to try the tufting, but now I think I can! Thanks, TDC! Sarah, it's amazing! Well done :) The headboard looks so tailored and perfect. When I read about where you got the linen from, I read it as "suitcase fabric aisle." I was all "what the what? What the heck kind of fabric store is she shopping at?" Evidently, reading isn't one of my foremost skills. Well done, Missus! That looks really smart - and I too, love your bedding. Our bedroom is grey and cream with yellow "pops", and the bedding is grey. Never saw yours over here in the UK but it's a great look with the headboard. I wish I could pay you to make one for me!! How tall is the headboard?? From top to floor? Thanks! 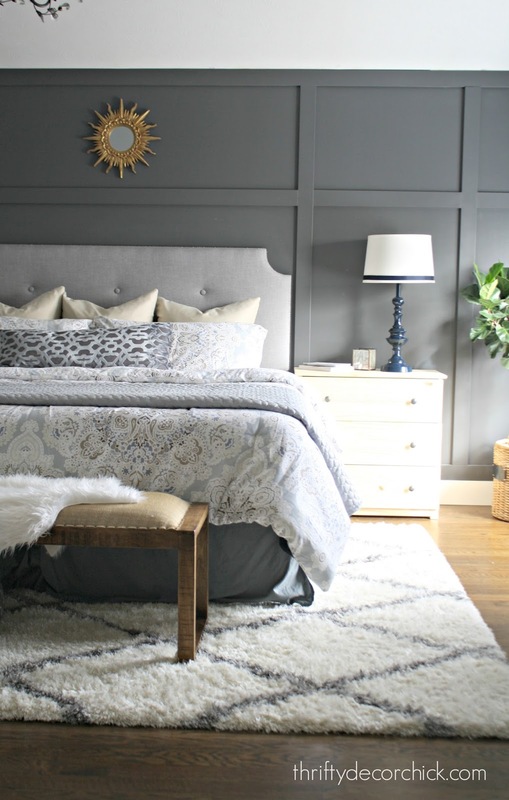 Love your new headboard with the tufting! We made our own headboard several years ago and bought a matching bedspread for the cover. Using the chart, mine is the Cleveland style. Thanks for the fabulous tutorial - I'm ready for a change and tufting is my plan! So beautiful, Sarah. I am poised to make a headboard myself, just as soon as I finish my list of projects in the living room. I had a sheet of plywood for it leftover from a remodel, until my husband used it on the ground to get his truck out of the backyard mud... sigh. It looks AWESOME, Sarah! Love the nailhead trim and the tufting. Like you, I like the simpler look of not too much tufting. You did a great job on this--thanks for the tutorial! Just saw this on Beckie's page!!!! Seriously love it! Totally pinning and making! I LOVE IT! I made something similar for our guest BR last year (I used drapery fabric but am coveting that lovely suit fabric). Great minds! =) Now I'm wishing I added tufting to mine because yours looks DELICIOUS. Your headboard looks amazing! Making one of these has been on my list for a while. Your instructions are great and I think I might be able to tackle it. Thanks for all the suggestions on how to use cheaper materials, I would not have thought of that. Thanks as always for the inspiration. Love your headboard! It's gorgeous! We made ours in a similar shape, but without the tufting. Now I'm thinking we should add tufting! Obsessed with ths project! Greatest, love the details you or died...makes it seem do-able for even the crafty-challenged. I'm inspired! I love it! I have been tempted to buy one, I will not have to now :) It was great seeing you at Haven! I love this! Awesome job! I also love the duvet cover? Where can I purchase that duvet cover set? Thank you for this tutorial, for me it's the best instructions I have read out in blogland and I have even had my husband read it. We're going this weekend to pick out fabric and going to give this a shot. I've always wanted a tufted headboard and your instructions make it seem feasible for us to do. I just had one question, how tall did you make your headboard? Shel I think it was about 42 inches tall if I remember right! Good luck! I have been redecorating my master bedroom and the final piece I needed was a new headboard. After searching endlessly for one and pricing them between $400-$2000, I came across your site. Your instructions seemed simple enough for even me to do! Lo and behold, they were! Yesterday my husband and I took on the DIY project and now have a beautiful tan-colored, tufted headboard in the Grosvenor shape with silver nail-head trim. It looks amazing! The cost was a bit higher than yours at $150, but considerably less expensive than purchasing one. The greatest difficulty was finding the nail-head trim, as neither Hobby Lobby, Michael's, nor the home improvement stores carried it. We did have success at Hancock Fabric and JoAnn's. We also put some super glue-gel between the front and back of the buttons for extra hold. Thanks again for your easy tutorial! We have a great statement piece of furniture and enjoyed the time partaking in the project together. My recommendation is if anyone is considering buying an upholstered headboard, make it yourself! It's simple, thanks to these instructions! I want to thank you for this very detailed post! I am going to do it! I've been shopping for something very similar for months and just can't seem to fork out the dough. I can do this! Awesome! Thanks for the detailed instructions. I just wanted to recover an existng headboard but I want to add tufting to it. Can you please tell me how to figure out how many yards of fabric are needed? I have a king sized headboard..,just measure it and add some for wrapping to the back ?? You'll want to see how long it is -- and as long as the headboard is not taller than the width of the fabric you should be able to get away with two yards or less! This is soo awesome! How a headboard can add so much to a room! I absolutely love this. I really want to try this. do you by any chance remember the measurements of the particle wood? It looks like yours was maybe for a queen?? Which is what I need! I too would like a tall headboard.. also did you staple the mattress pads onto the board as well or did you use another technique to attach them? Thank you so much, you did an amazing job! Thank you! I just measured the width of the bed (ours is a king) and then figured out how tall I wanted it. I used a spray adhesive to get the pads on there -- stapling them would make them pucker a bit, you know? I didn't want that to show when I put the fabric over it. I hope that helps, good luck! I'm definitely going to try this, but instead a head&footboard for my daughter's crib! I hope mine will turn out as ritzy and glitzy as yours! if you use the egg crate foam which way should it face? Love this blog! thanks. I am in the process of making my headboard right now and am using mdf as well. Just wondering if you had to hammer in the staples? I am having a hard time stapling through the mdf. Thanks! Yes! Sometimes it goes in fine and sometimes I have to hammer to get them flush. Thank you so much for this post! My husband and I are going to team up on a headboard for our king size be in our bedroom...this is the BEST post I have found to give us some guidance on our project! Thanks again for sharing! I'm not sure what size these were -- they didn't have a lot of options though. I'd say they are maybe about an inch across? Maybe more? This is gorgeous! I just got a jig saw for christmas and this would be the perfect project! How far apart are the drilled holes for the tufting? And what was the size of the MDF after you had it cut down? Thanks! Glad I stayed up long enough to find this one. Great ideas. Thanks. I am making a headboard now. Thanks for the tutorial. Love It Love It Love It !!! I do have a couple of questions I want to do a deeper tuff should I wrap the fabric a little loser to accommodate the deeper tuff ? And where did u get those nail heads that are connected ?? Plan on doing my room and my girls room. Will keep u posted. Could you please let me know the dimensions you used? And is it for a queen or king bed? I'm trying to get a reference point for how large to make ours. Thanks! It looks so great - can't wait to make ours! I love the way the headboard turned out! so much that i am in the making of one very similar and was wondering how many inches from the top is the first row of buttons? Sorry I just saw this Nicole -- it's about ten inches from the top. Where did you find this nailhead trim?? I made a headboard, using yours as inspiration. Thank you so much for the easy to follow instructions! We love our new headboard! Love your bed head ! Wondering how much nailhead trim you used ? Just the one packet ? This is genius! I'm getting a new house next month and want to start DIY projects to make it a home, cause as we know, money is tight. I was wanting to make my own tufted headboard. 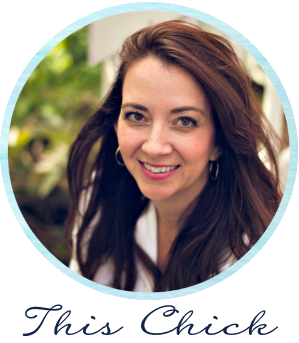 So glad I found your blog for this and so much more! Just a note on staple guns. I wanted to reupholster my couch and found out electric staple guns don't have the force necessary to staple into hardwood or thicker plywood. So you can use a hand stapler, tough on the hand, or the kind with an air compressor. That's what the pros use but most of us doing DIY projects find this a bit more expensive than we care to spring for! OH MY GOODNESS, I loveeeeeee this!!!! My friend just me this site because I was going to spend $900 on a bed. She said NO don't do that! i've been meaning to get back to your blog for awhile now. i love your IG feed and it made me smile that you are also an indy girl. love love love this headboard. i've been toying with the idea of trying this and i think you've convinced me. i'll let you know how it turns out...hope you enjoy your weekend! Oh my God, I never knew the headboards had names. That diagram was so useful!